The presence of tile in your home means you care about the looks and clean ability of each room that has this material installed. This may mean the kitchen and/or bathroom. It could mean the hallways and even the living or dining rooms. The decorating options that tiles open up for you make this a very flexible medium for beautiful spaces. Tile and grout cleaning might become an issue depending on the amount of traffic you have in each room and on what surface it is installed. 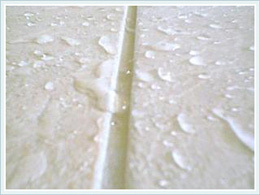 This material can be installed on the floors, which is the most common surface. This is a relatively hard surface that is installed in a peculiar way. The individual pieces, whether small, two by two-inch ones, or the larger sizes, up to and including 12 X 12 inches are laid onto a mastic or adhesive to keep them in place. They are then packed with grout along each side and between two pieces so they do not have gaps or touch each other. Normal day to day sweeping and mopping will handle the normal dirt and dust that occurs, however, when they get real dirty or the grout gets discolored, professional tile and grout cleaning technicians must be called in to take care of these issues. Professional Regina, SK Tile And Grout Cleaning, such as ours are standing by when you reach this point. The grout consists of sand, water, and hardeners and can be applied in many colors. One of the most popular colors is white, for what should be obvious reasons. It makes the entire tile surface look finished and prevents water, molds, germs and other contaminants from getting down between the tiles and under them. When this happens, it is known as floating the tiles and we have seen this happen when we go into a home for flood water servicing. We not only clean the tiles, we take care of this discolored grout and make it bright again. Professional Regina, SK Tile And Grout Cleaning, such as ours, get the entire surface clean and healthy for your family.